(This post is sponsored by KUHN RIKON but the opinion is all mine!) 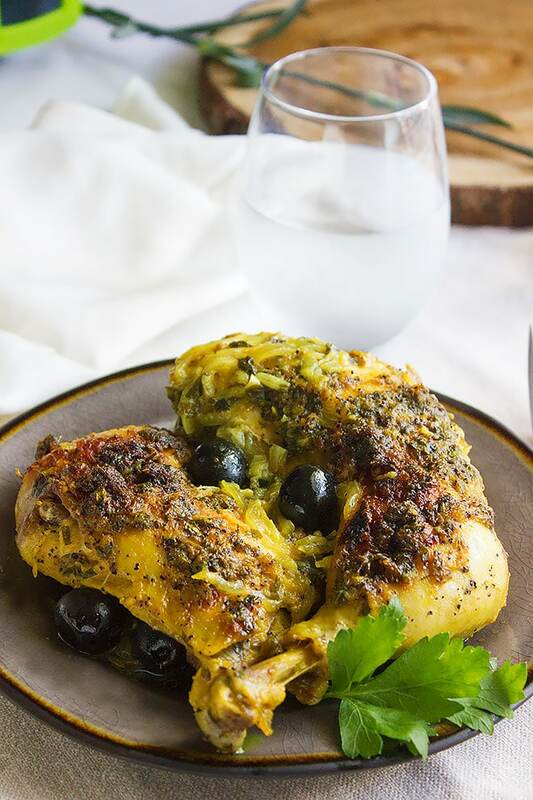 Moroccan Chicken Olive Stew is a popular and delicious dish served on special occasions in Morocco, it requires a little time to prepare and is flavorful despite the few spices used. 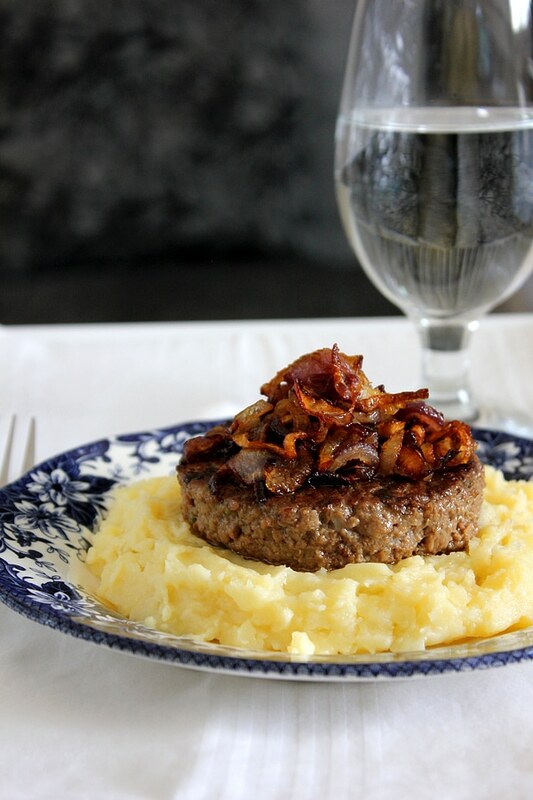 This recipe is ideal for those who do not have the time yet want to cook amazing dinner for their family. Before talking about the recipe, I must share few things with you, a little personal but I guess you (my readers) should know what was going on and why I didn’t post for a while. First, let me say that all is well at my end and I spent past days enjoying success and pleasant surprises from my family and friends. 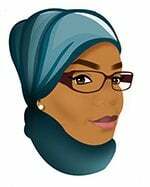 The best thing about being your own boss is taking time off whenever you want and I had to spend some time away from my blog and enjoy all the blessings God showered me with. My son made me a proud mom (He always does) and passed with good grades. My husband and I worked on three successful projects, one of them you’ll get to witness hopefully soon! We did have a family emergency and things for a short while didn’t look promising but it all worked great at the end. These are some of the pleasant moments I have experienced in the past weeks. There was something new almost daily so I had to take a break from blogging. I am happy beyond words and I want to express this happiness by giving something amazing away to one lucky reader. 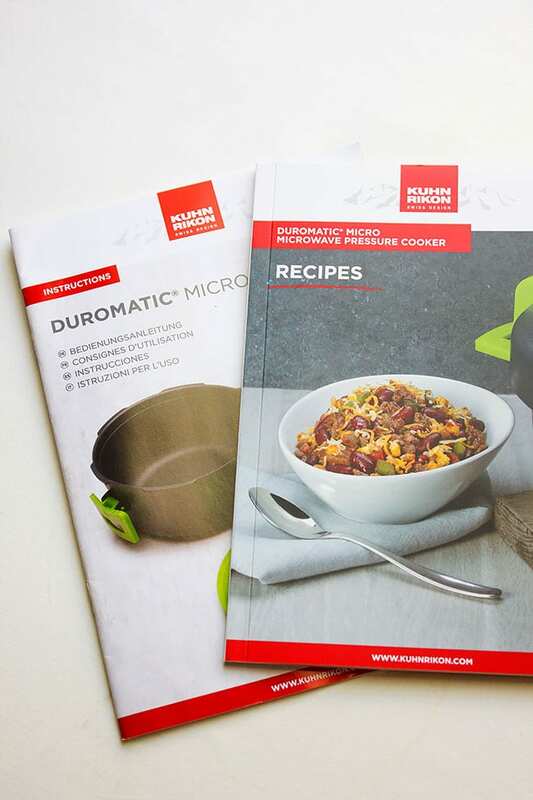 I have teamed up with KUHN RIKON and will be giving away one Duromatic® Micro Microwave Pressure Cooker. 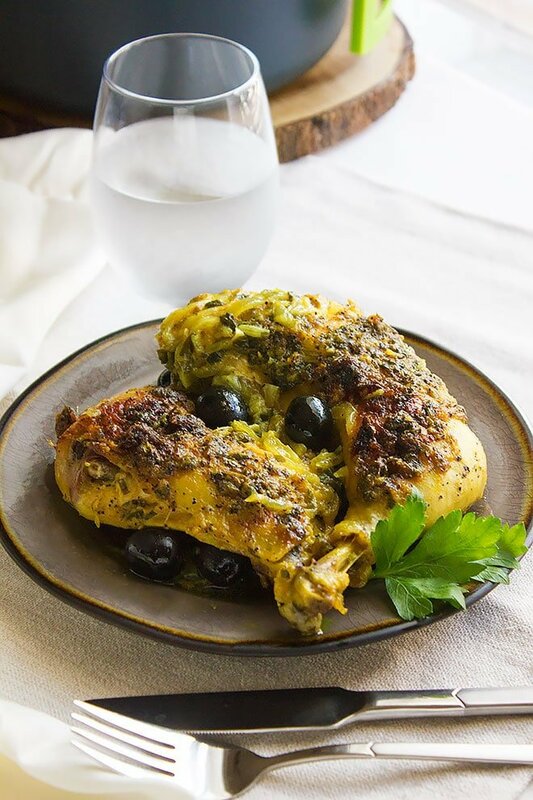 Today’s recipe (Moroccan Chicken Olive Stew) is made in Duromatic® Micro Microwave Pressure Cooker. The dish usually takes two hours and a half to cook, while in the Duromatic® Micro Microwave Pressure Cooker, it took 23 minutes only! I love my stove top pressure cooker, but the microwave version made me fall in love again. I never cooked in the microwave before, the idea is all new to me since I mainly use my stove and oven to cook and the microwave is left for heating food. I thought the chicken will come out tasting boiled, but I was in for a big and pleasant surprise. The dish came out better than when cooked in a tajin (a Moroccan stove top pot, made from clay). I didn’t marinate the chicken, yet the flavor has reached the bone. You do not have to marinate the meat, this microwave pressure cooker spreads the flavor evenly to each and every part of the meat you are cooking, be it chicken, beef, or fish. Duromatic® Micro Microwave Pressure Cooker is a blessing in disguise. Did I mention that it comes with a cookbook? The cookbook has amazing recipes, from soups, main meals, and even dessert. Locking lid won’t open under pressure. Giveaway ends on July 15, 2017. 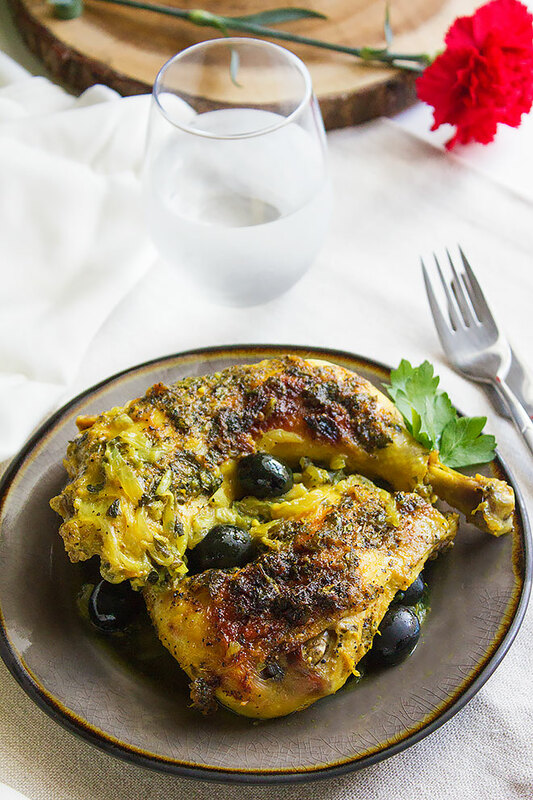 Let’s Make Moroccan Chicken Olive Stew! In a bowl mix all the ingredients well except the thinly sliced onion, olives, and water. Add the sliced onion to the pressure cooker and place the chicken on top. Add the water and cover the pressure cooker. Place the pressure cooker in the microwave and cook for 23 minutes. Allow the pressure cooker to release all the pressure naturally. Open the pressure cooker and add the olives. Serve hot. **If you don’t have a microwave pressure cooker, marinade the chicken for at least two hours or overnight. Follow all the steps using a regular pan and cooking on stove top. Cover and cook on medium heat for 2 hours. Congratulations to your son and the proud parents for scoring such good grades :-)) The stew looks really super and microwave pressure cooker sounds like a really cool kitchen gadget. My kiddos and I love olives. 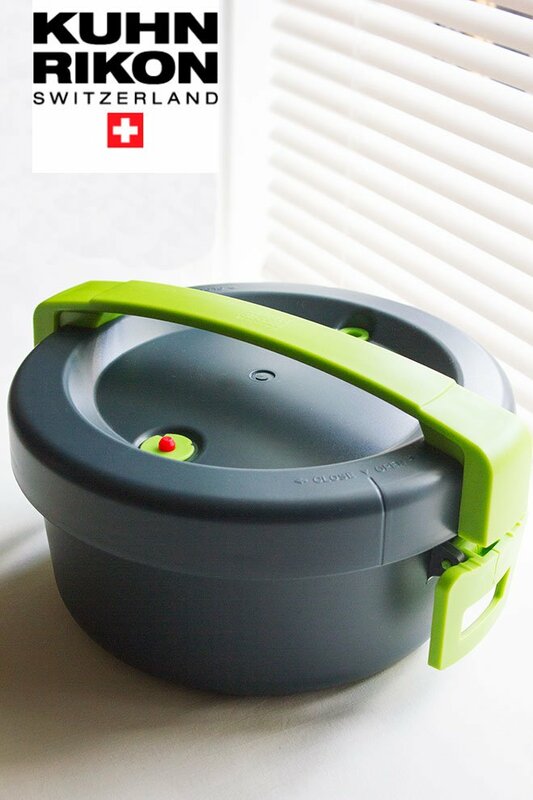 The Duromatic® Micro Microwave Pressure Cooker looks like an amazing tool for in the kitchen! It is a game changer and time saver plus seals in all the flavors and nutrients. Hey Corinne, thanks for stopping by. Making this dish is easier and faster than chopping vegetables for salads, I’m sure you’ll love how it tastes. Good to hear that things worked out for you all in the end. From the looks of it and the seasonings used in this recipe, I know it tastes good! Thank you Dee, hope you enjoy it! I might as well give this recipe a try. 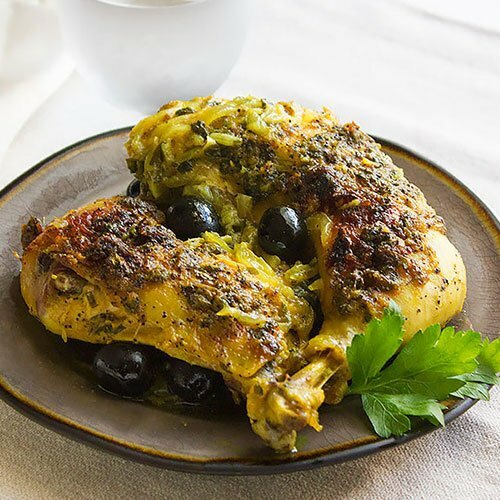 Although I’m not really a fan of olives, but hey, the chicken looks appetizing. .
You don’t have to use olives, this dish will still taste amazing without it. I honestly have never had this recipe before! It looks and sounds delicious! Thank you Sheena, I’m sure you’ll enjoy it! Thank you Ana! Moroccan dishes are out of this world. Yum! Morocco chicken is very delicious! Duromatic Micro Microwave Pressure Cooker looks like a great product. Looks like a very delicious menu. I will bookmark this post and try to cook. I hope I can successfully make it. I am glad that everything turned out fine and congratulations on it. Also thanks for sharing some by having a giveaway. What an absolutely delicious looking meal, it sounds like a really interesting way to use chicken. I’m always looking for a good chicken recipe so I’ll definitely have to give this one a try! I am keen to buy my Mom her own duromatic, because it will be an awesome addition to her kitchen wares. Thanks for giving me inside tip! Looks absolutely delicious. I’d swap chicken with lamb though as I’m not a big fan of chicken. The sauce looks super yummy! Lamb will taste great too, I guess you have to cook it longer though! So glad to hear about your son’s achievement. I’m sure you are very proud. Hope everything is well with the family emergency that occurred. Will share this recipe to my husband, looks very interesting. sure a delicious meal to try out, moroccan chicken should have this kinda spicy and soft feel from most of their nicely made meals i have tasted down here in my country. yummy delight for me. Kudos on the academic successes and what a wonderful dish to help the celebrations along. I’m loving that pressure cooker too. I am following you via pinterest. Username is directorylanesu. This meal looks wonderful! I love my microwave, but almost never actually prepare a meal in it–just reheat or melt butter, that kind of thing. This looks like great for even cooking. Cooking is my #1 passion in life and this would be super duper awesome to win! The chicken recipe sounds good. I followed you on Pinterest and Instagram. Thanks for the chance. This recipe sounds wonderful. I am a new subscriber and follower on Pinterest Zipasmom. 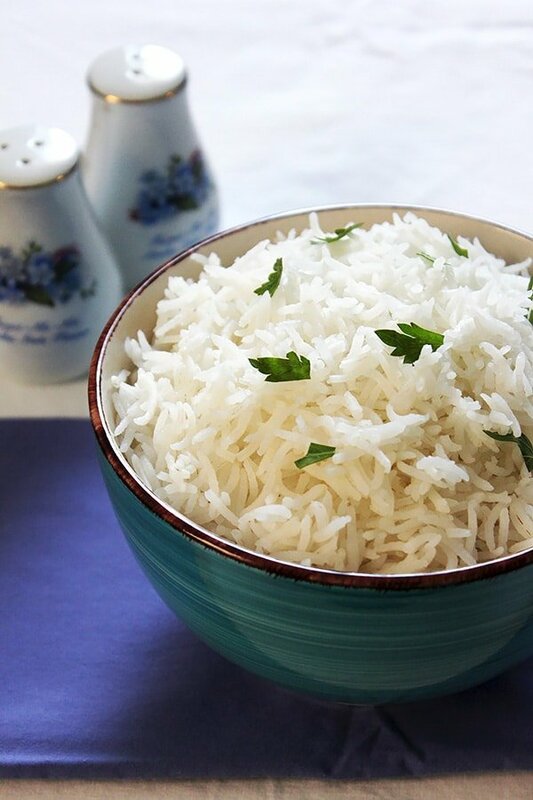 Awesome recipe..looks so healthy and flavorful. For the last year I’ve really begun to cook with more Turkish, morracan spices for the healthy benefits. And, I’m a huge fan of Kuhn R. Products..and, almost purchased this on QVC a few months ago. I’m just subscribe to your blog. And, on Instagram ad FLORIDAGLD..
Congrats to your son too. Thats really amazing. Thanks for introducing me to this microwave pressure cooker. The time it saves on cooking is a bonus too. The recipe is healthy and delicious. This stew looks so amazing! I admit I am not the best cook although I love doing it. Looks fantastic! I love Mediterranean food. I lost 30 pounds by eating a Mediterranean diet. Moroccan food is so delish! Check out all my tasty food on Instagram!